Have you ever been to a baby shower so boring that you feel you are losing IQ points just by sitting there? You’re patiently going through the motions of the baby shower games and all you want to do is a/ cry like a baby; b/ demand a stiff drink; or c/ be a man so you didn’t have to be there in the first place? Future Mums, be as kind to the rest of us as you are being to yourselves. You know how hard it is giving up alcohol. Don’t make everyone else suffer as well. This celebration certainly doesn’t call for a BYO booze-up, but a few bottles of both alcoholic and non-alcoholic bubbly won’t go astray. It may even help loosen things up a bit for those who are feeling a bit uncomfortable! That said, if your baby shower game ideas are really bad, not even alcohol is going to numb the pain your guests are feeling. The suggestion that having babies is purely women’s business is archaic. If someone is writing something uplifting on a nappy that can be read at some ungodly hour of the night, I damn well want the Dad to be the one up reading it! And there’s the golden rule, right there. The men cannot go out drinking while the women are having a baby shower. They may or may not choose to attend, but they sure ought to be invited! It’s more fun with Dads there anyway. Seeing their red faces will do that. So here are 10 of the best baby shower games you’ll find anywhere on the Interwebs. No, it does not include melted candy bars or chocolates in the nappies! 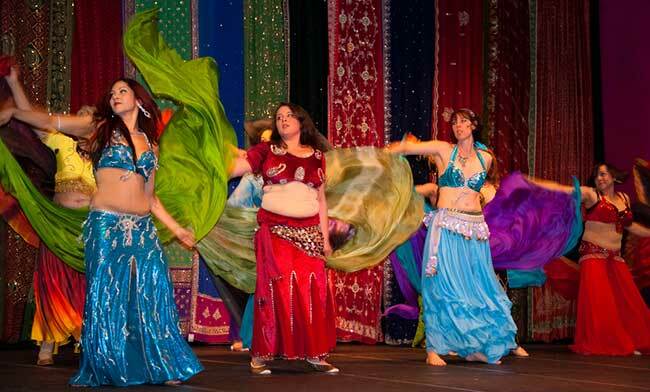 Bring in a dance teacher to take a friendly beginner dance class, perhaps Bollywood dancing or Bellydancing. Bollywood is a wonderfully fun dance that uplifts the spirit and leaves you smiling. Like in the movies, men can join in too. For something more mother goddess, bellydancing is wonderful. It is a sensual dance that purports to help the birthing mother move in a way that opens her body – and her emotions – to the enormous change about to occur. The blokes can play some drums while the women dance! ‘FIL Nana Belly Dance Group’ by Chris Parfitt available at https://www.flickr.com/photos/chr1sp/5622788364/ under a Creative Commons Attribution 2.0. Full terms at http://creativecommons.org/licenses/by/2.0. Not only can you enjoy giving each other a lovely massage on the day, but everyone can learn the basic art of massage to take home to their loved ones. Create DIY patches for baby clothes! Grab some iron on adhesives, fabric pencils and fabric and invite guests to make some cute, weird or wonderful iron on patches for baby clothes! For an easy ‘how to’ check out this article. This is a super fun activity and everyone manages to create something amazing. 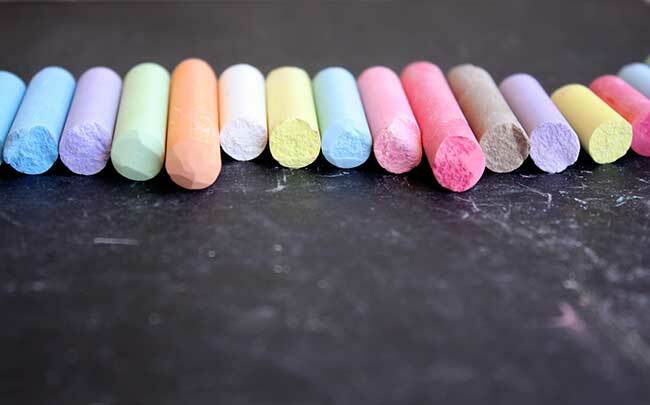 Have someone host a hands-on session on how to do chalk art. This is a great opportunity for everyone to reconnect with their own inner child. This is perhaps one of the most unique baby shower games in the list, but it will be a much loved activity at a baby shower celebration. The idea is that, when the baby comes home, friends may wish to get together to chalk a massive welcome for the parents at the front of their home. The best thing about chalk is that you can be as fun as you like because, in the end, it all just washes away! This idea is one of the easiest free printable baby shower games you’ll find. A friend of mine said one of the best baby showers she had been to had “baby bingo” – all the women were given a bingo sheet and letters and had to make a name associated with babies – and the winner was given a bottle of wine. Yeah! There’s nothing wrong with an old classic! Have friends and family members bring in their baby photos and play a game of ‘guess who’. Take the guess who game to the level by posing questions about the friend. Perhaps something they did as a teenager and others have to guess which innocent baby face that naughty deed came from! Run a tea tasting by a professional tea taster. 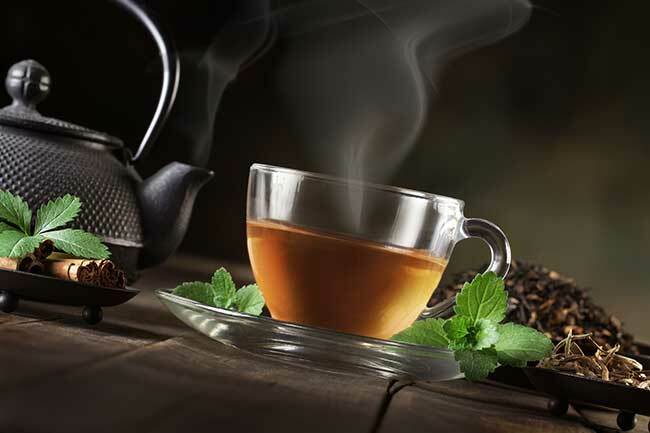 Teas can have a number of effects, including calmative, so it’s a great opportunity to learn what’s what in the world of teas. Have everyone sit in a circle and share with everyone the most amazing lesson they learnt from their own parents or what they did together as a family that meant a lot to them (e.g. having dinner as a family at the dinner table every night). There may be a few tears, but there will also be lots of laughs. You can still have funny baby shower games! This game is way better than a silly nutella poo nappy game. Instead, guests write on newborn nappies. Buy a whole bunch of them early and let guests go crazy with their pens. The idea is to make Mum and Dad smile and laugh during the first few weeks of hell or give them the affirmations they need to get through the day. The menfolk will definitely get involved in this one! Find a friend or local charity volunteer to come in and talk about what it’s like for mothers in developing countries to give birth. The idea is to focus on how blessed we are, but also raise awareness of the struggling of Mums experiencing poverty and health disadvantage. Rather than a gift, you might like to suggest guests donate money to Oxfam or UNICEF. Before progressing with plans for a baby shower, be sure to have a good think about where you might like your party to be hosted. For some beautiful surrounds, you might like to hold it at a local art gallery or park. One of my favourite baby showers was held at a swimming pool and we all got to enjoy the beauty of my pregnant friend rocking a gorgeous polka-dot bikini. Also, consider asking a friend to be the official party host. This is simply the person who will keep things moving and run the games. Select someone fun and funny. Both you and the host need to be comfortable with the games you decide on. Be sure to send her (or him!) this list to work from. Finally, ask another friend to be the official photographer. There’s a lot of crazy stuff that goes on at baby showers, so why not make it a day to remember and include some of these photos on your pregnancy collage canvas print? Good luck new Mums! Be well!